Because they are such a rare sight, it is easy to forget how magnificent owls are. Every feature that makes us stop and stare actually serves a very useful purpose. Those large piercing eyes ensure that they’ll never lose sight of their prey. And those round moony faces actually serve as satellite dishes to capture all sound and direct it towards their ears. All the better to hear their next snack. Matt Sewell has captured the charm, and majesty of 47 different owls in his pleasing watercolor illustrations. Check this book out today, and discover your new favorite owl! My personal fave? 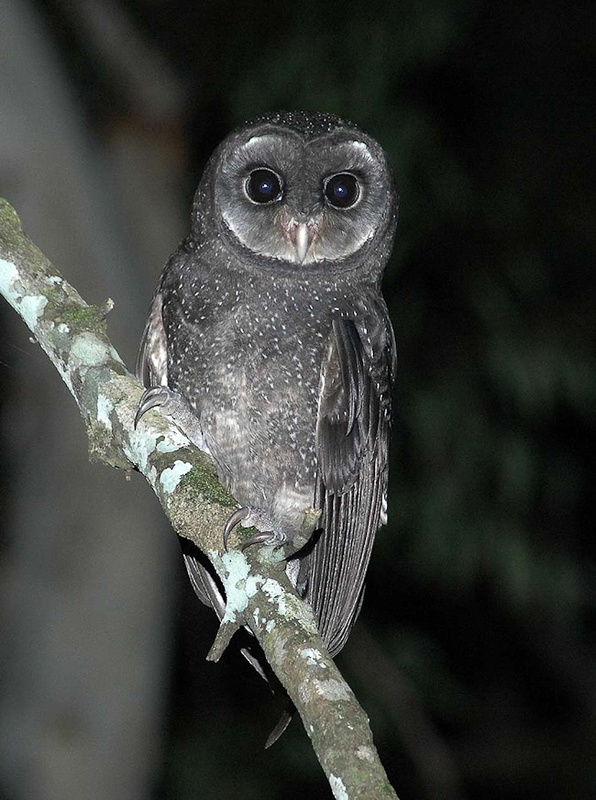 The Greater Sooty Owl. They have little speckles that look like stars in a night sky.